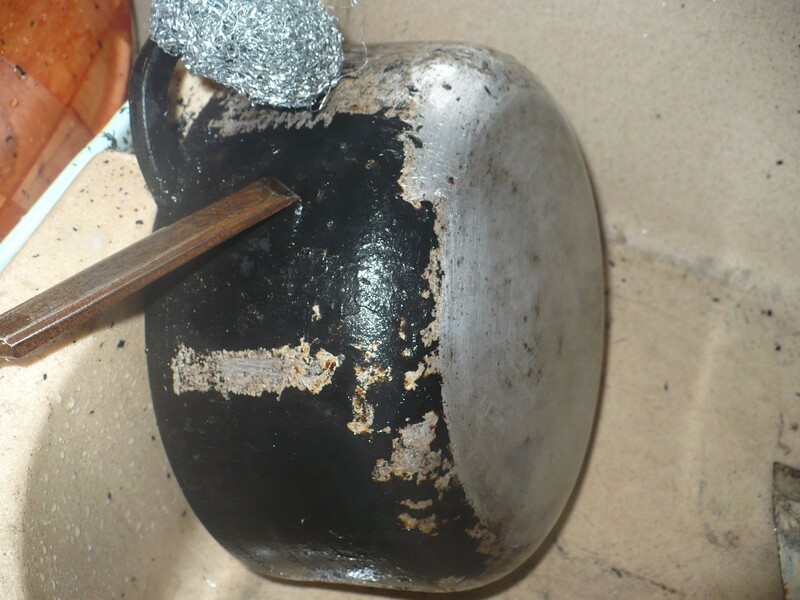 This is a guide about cleaning and restoring a Macocotte dutch oven. 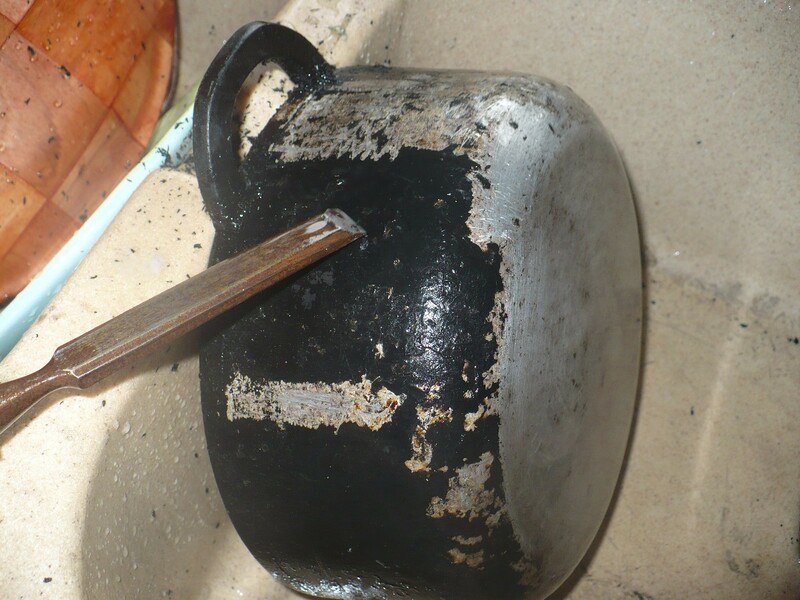 Here are some great tips for removing burnt on food and grease from a Manocotte dutch oven. Last Sunday I visited the flea market they hold once a month in Punnauia. Normally I don't buy much at the flea market because it seems everyone sells items I don't need or already have. 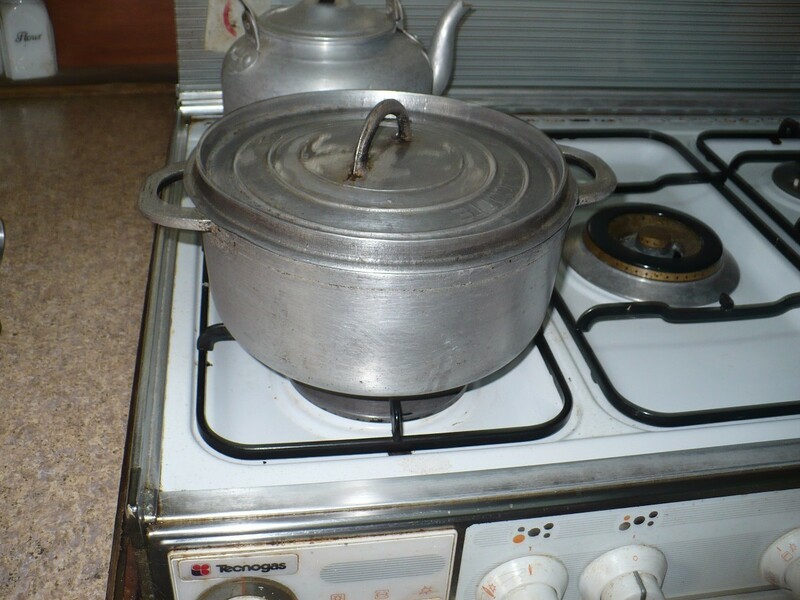 However, this weekend I found 3 very old; extremely dirty Macocotte Dutch ovens for 300 francs or $3.00 USD. Twelve years ago I purchased a set of 4 Macocotte Dutch ovens. I paid close to 10,000 francs or $100.00 USD. The set of Dutch ovens I bought were light weight and not the original heavy duty Dutch ovens they no longer sell. Fortunately, for me the 3 Dutch ovens I purchased were the original heavy duty ones. The Dutch ovens were dirty, had burned on food and grease blackened on the sides and bottom of the pans. I knew the value of the Dutch ovens and also knew I could clean them and restore them to new. 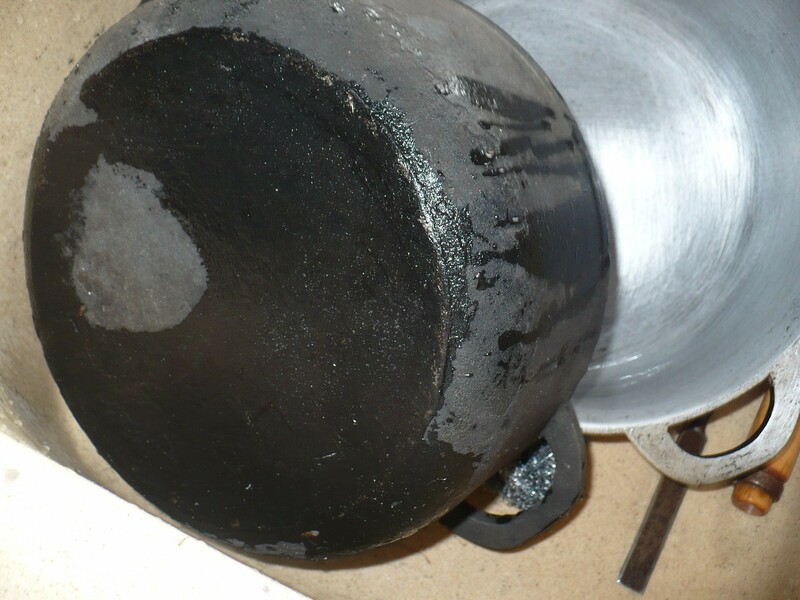 Here is a simple way to clean and restore cast iron or Macocotte Dutch ovens. Block the pan in your sink or between two pieces of wood. Use the wood chisel to start chipping away at the burned on grease and food. 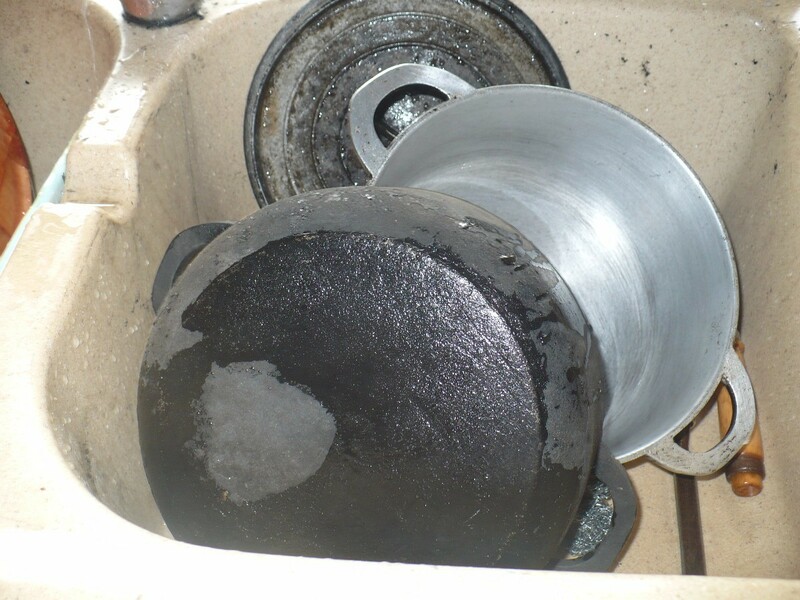 Be careful to not dig too deeply because this will leave grooves and gouges on your pan. When using your wood chisel don't hold the pan with one hand. The chisel will slip and could cut your arm or hand. I used both hands when holding my chisel. After cleaning a small area sprinkle the area with Ajax. Use your medal scrubbing pad to remove the rest of the black grease and food from the pan. Continue to scrub and clean the pan until you've removed all the blackened grease and food. 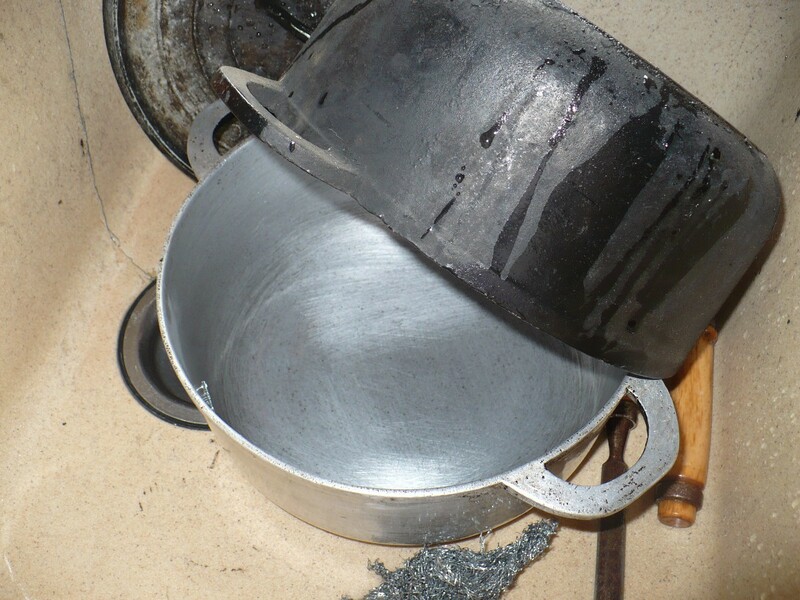 To clean the inside of your pan, use baking soda and a medal scrubbing pad. 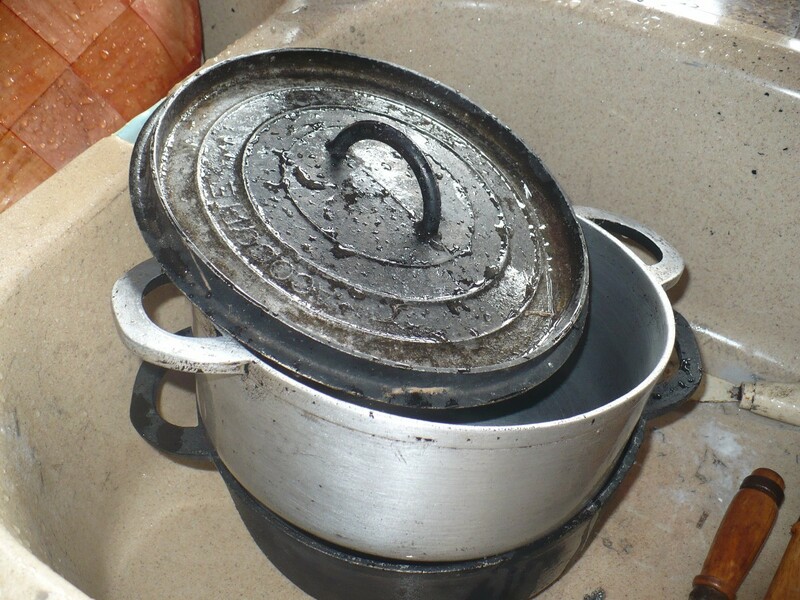 Once the pan is cleaned, wash with hot water and dish soap.